"Barbudo are a British ‘Nu-eyed funk’ group from the south coast town of Havant, Portsmouth. Fusing elements of old-school funk, psych rock and smooth R&B, brothers Ben and Harry Stanworth, along with Elliot Salter have established an intoxicating sound which oozes charm and flamboyancy. 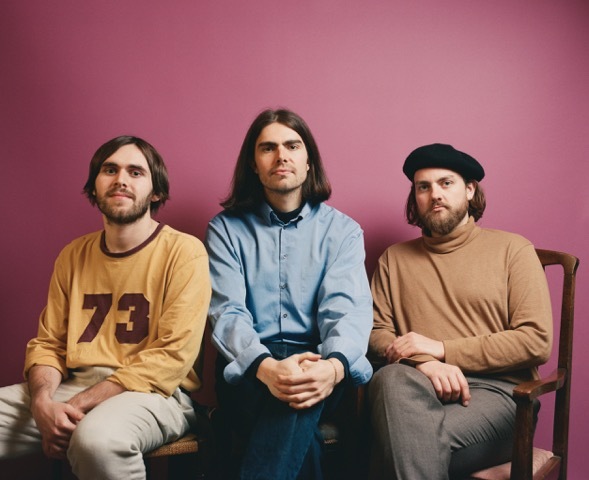 Taking inspiration from the pioneers of 70’s funk, soul and disco, as well as acts such as Steely Dan, Shuggie Otis and The Isley Brothers, Barbudo have concocted a sound equal parts contemporary with yesteryear’s glow. This unique marriage has given the band the distinct sound that has been winning over audiences across the nation. Following the success of their last EP Pleasures, released under Pie & Vinyl Records, Barbudo are now ready to unveil their latest single ‘Secret Admirer’. Drenched in funk-fuelled melodies, shimmering vocal harmonies and groove-laden basslines, the single radiates sonic colours. Barbudo have succeeded in capturing the sound of summer , complete with the band’s signature clavinet and playful percussive elements. "We were going go for latin-infused funk vibe, like a blend of Michael Jackson and Santana” explains Ben. Thematically ‘Secret Admirer’ is a tongue in cheek interpretation of having guilty pleasures. “It's a playful confession of secretly liking something that is deemed ‘uncool’ by most people. You might not publicly admit to liking it, but beyond judging eyes you see it for what it is. Like listening to Coldplay when you are sad…”, reveals Harry. Barbudo have already received both critical and commercial success, having performed to sold out venues, whilst racking up a number of support slots with internationally renown acts. DIY Magazine editor and record label executives recently chose Barbudo as the winner of ‘Record Store Day Unsigned’ competition for their video ’SXC', resulting in an EP being pressed to vinyl and sold in stores nationwide. Barbudo continue to enthrall audiences with their distinguished sound, with ‘Secret Admirer’ currently available worldwide." Stream "Secret Admirer" below and keep up with the guys!